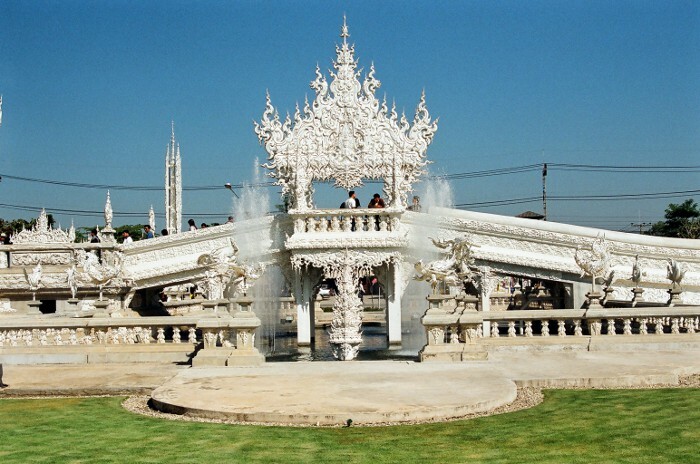 The Wat Rong Khun of Chiang Rai province in Northern Thailand. 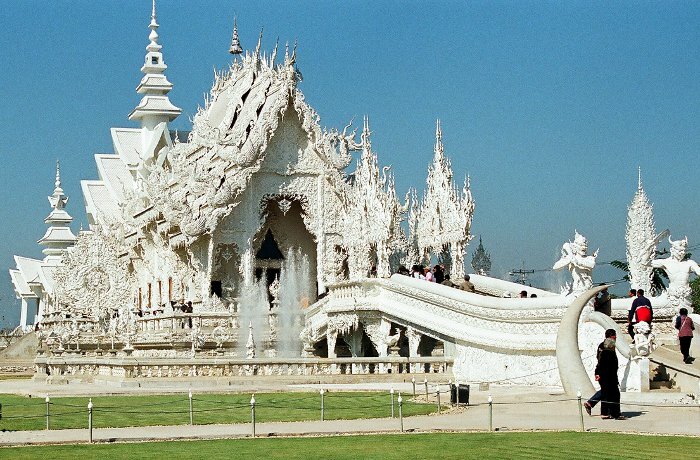 Nikon F50, lens 28/80mm This temple is indeed special: it is white. 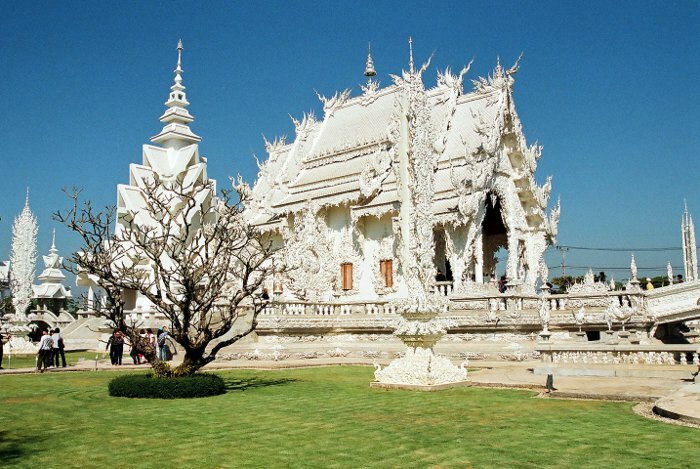 There is no other temple like this one in Thailand. 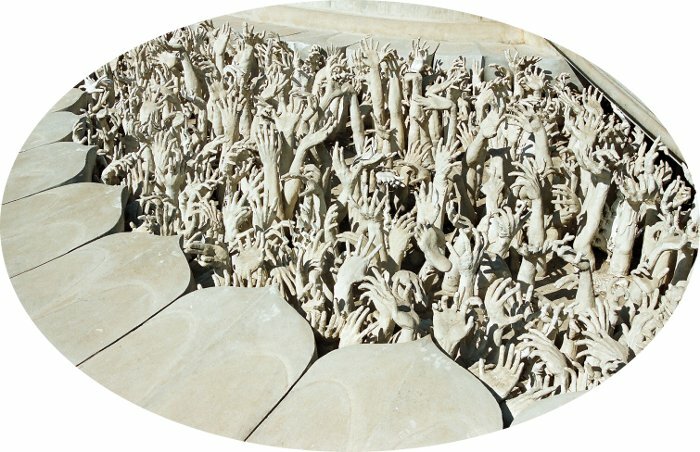 Nikon F50, lens 28/80mm Hands coming out from the Earth « welcome » ( ???!) you at the temple's entrance.